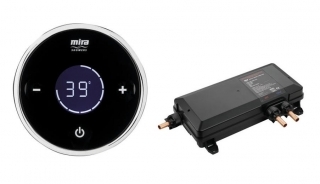 The Mira Platinum is a Wireless Digital Mixer Valve, complete with Mira Platinum Shower Controller. The Mira Platinum Shower Valve Only, allows the complete advantages of the Mira Platinum shower, but you can complete the look with your very own choice of shower head. The Mira Platinum Shower allows you to set your perfect temperature, flow and is simple to use.